Are you in need of a speaker for your event? I accept a limited number of engagements, most of them local. Estimate fees at $1 per attendee, plus expenses, with a $100 minimum. A deposit is required to guarantee your date. With the opportunity to sell books, financial arrangements are negotiable. So You’re Not Wonder Woman? I’ve done this talk in 30 minutes to an entire weekend. 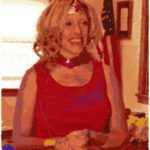 Loaded with humor, Wonder Woman is presented as a Bible-based object lesson that can help Christian women get organized and make important life changes. Appropriate for homeschool and Christian women’s groups. This one-hour Bible study based on the book of 1 Samuel is immensely helpful to those in the midst of dealing with difficult people. Attendees learn to identify their crazy-makers and learn lots of God-honoring tips for dealing with them. A one-hour Bible study that engages women around an unusual means of discussing gossip and complaining–a children’s book about an armadillo. Ladies come away rethinking their definition of gossip and wanting to buy the book for their daughters and grand-daughters. A one-hour session on fear, this Bible-based presentation helps women identify the roots of fear and God’s prescription for it. Using powerful video illustrations, the talk will help attendees understand what’s really involved in choosing faith or freak outs. This fun, interactive talk works well for women’s retreats. Women take a personality inventory and later discuss stress management techniques with others just like them. I’m a CLASS trained speaker, using the personality types made popular by Florence Littauer. This one-hour talk is helpful for both unmotivated home educators and for their students. By examining the roots of the motivation problem, we can find solutions for getting back to learning. I’ve given talks on dating, marriage, parenting, peace, life balance, homeschooling gifted kids, homeschooling anxious children, homeschooling the challenging child, time management, coping with illness, reaching out to lonely people, meal planning and much more. I’m happy to create a custom presentation for your event. If you’ve already booked me for your event, you may use this bio and head shot. Dr. Melanie Wilson gave up her career as a Christian psychologist and began homeschooling her now six children 16 years ago. 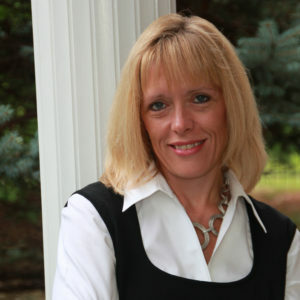 Melanie has been writing evangelical booklets, articles for magazines like Woman’s Day, and blogging for as many years. She is the author of The Organized Homeschool Life: A Week-by-Week Guide to Homeschool Sanity and So You’re Not Wonder Woman, a testimony of the power of Christ to transform women’s lives. She currently blogs at Psychowith6.com where she shares sanity-saving tips for homeschoolers and is the podcaster behind The Homeschool Sanity Show. Melanie is also an avid tennis player and scrapbooker. When anyone asks Melanie how she does it all, she is quick to give the glory to God and credit to her husband of 23 years, who is Superman to her Wonder Woman. Complete the form below to discuss your event.